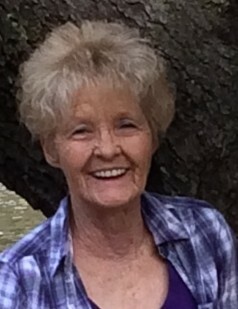 Myrtle Lee (Billings) Bohrer, 72, of Oakland, MD, passed away holding the hands of her children on Tuesday, February 12, 2019, at Garrett Regional Medical Center, Oakland. Born May, 1946, in Leesburg, VA, she was the daughter of the late Whitmore and Margaret (Henninger) Billings. She was also preceded in death by her husband, Carlton Bohrer; one daughter, Regina Kelly; two brothers, Toby and Jeff Billings; one sister and best friend, Ruth Darlene Billings. Myrtle worked as a Certified Nursing Assistant caring for the elderly. She loved her grandchildren dearly and was known as the "dance grandma" to all. She is survived by one son, Ryan Kelly, Morgantown, WV; two daughters, Rhonda Cox and husband, Robert, Oakland; Rachel Kelly and fiancé, Gary Crosco, Oakland; two brothers, William and Tom Billings; four sisters, Mary Dennison, Evelyn Howdershelt, Cathy Allman and Debbie Billings-Davis; six grandchildren, Richard Sines and wife, Marsha; Aaron Sines and wife, Lori; Justin Sines; Tyler Kelly-Friend; Madison Crosco; Katelyn Crosco; seven great-grandchildren, Dylan, Landon, Wyatt, Ryder, Raylee, Koralynn and Rhett. Friends will be received at Newman Funeral Homes, P.A., on Monday, February 18, 2019, from 1:00 to 3:00 p.m. and 5:00 to 7:00 p.m. Cremation will follow the viewing. Newman Funeral Homes, P.A., 1100 Memorial Dr., Oakland, MD, 21550 is in charge of her arrangements. Expressions of sympathy may be directed to the Lupus Foundation of America, 2121 K Street, NW, Suite 200, Washington, DC 20037.